Playing alone, especially various multiplayer games, isn’t always fun. But even if you do have a bunch of friends with whom you enjoy your game time it’s not always possible to type your message into the in-game chat. Many of you already know about at least some video chats by now, however, I’ve prepared a list of a couple of most popular voice chats for gamers in case you are looking for alternatives. Possibly, the only reason why Discord still isn’t an absolute dominant voice chat right now is that people are too used to Teamspeak 3, which will be described below. But Discord in its nature is so much more than a simple open-to-everyone voice chat software, available both online and as an app installed on your PC, Android or iOS device. It’s often regarded to as “community hub” where people can simply hang out. The best thing about it is the possibility to create channels for free and almost instantly. Not only, can you use Discord for voice channel, but each channel has its separate chat where people can leave messages to each other – you aren’t forced to speak right away, but instead, ask them via normal chat if they want to play some games with you. 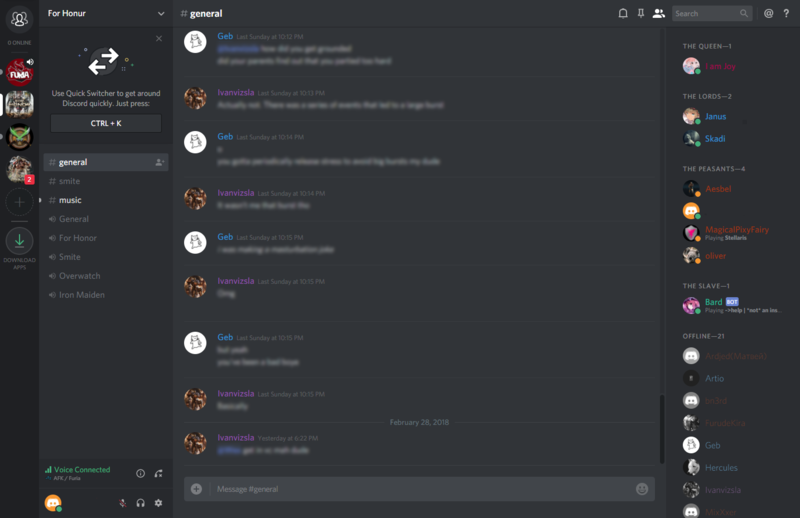 The biggest issues of Discord have been fixed already – some of which has been quite frequent dropouts and other bugs. Also, since Discord is an “open” service, it means that various DDoS attacks are much more frequent than on other voice chat services. 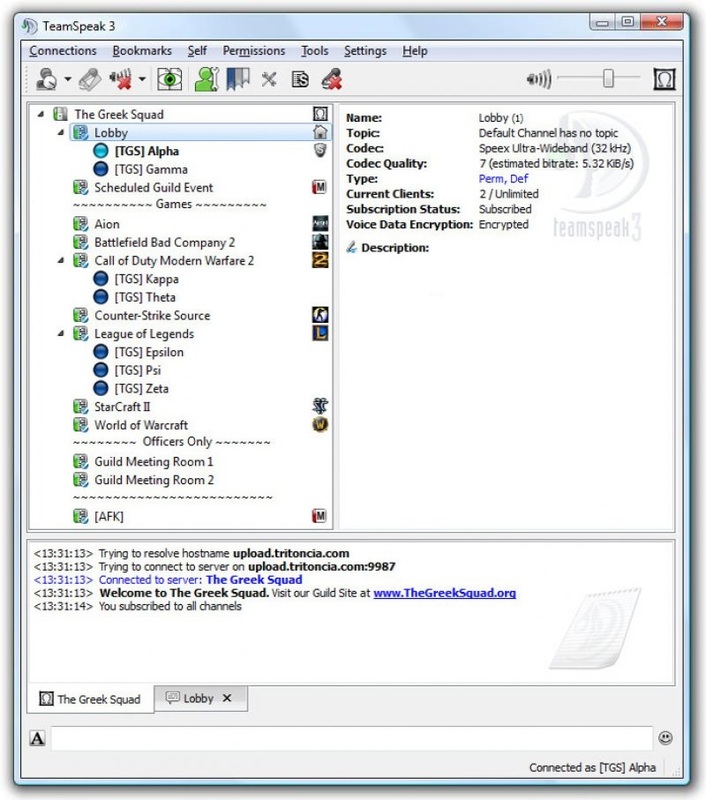 For many years now Teamspeak has been around with gamers to help them communicate in various co-op or strictly multiplayer games. It still by far one of the most popular voice chat. And while there are some public channels, they are often flooded with bots, trolls, spammers etc. That’s why it’s worth renting your own server space to enjoy perfect sound quality, no disconnects and service shortages and most of all intrusions. Teamspeak does have a text chat included, however, unlike Discord, it is only a small addition when you want to share a website link to your teammate, rather than actual conversation place. Mumble is yet another very well known voice chat that has been used for years now. A good thing about it is that for developers who’d like to mess around with it, Mumble is an open source, and you don’t need any copyrights to add more features to the software to suit your needs. In order to get your own server, you need to purchase a space from Mumble. The prices are rather low, considering the split cost of a server between players (15 members for $7,50/month – or 50% less if you decide to subscribe for 12 months). Mumble is available for Windows, Linux and Mac OS. Created by Google, Google Hangouts allows instant messaging voice and video chat and is available on pretty much every platform. You can use Google Hangouts via Gmail, Google+, Android or iOS phones. It’s completely free, however, this service isn’t quite suited for gamers but rather for small social talks or preferably for business meetings. Nowadays everyone owns a Gmail account which means that access to Hangouts in instant and shouldn’t cause any problems. Going back to gaming communication, yet another well-known voice chat is created by Blizzard. While early versions of voice chat were limited to World of Warcraft and wasn’t used whatsoever by anybody, currently it is a polished service that allows everyone to talk with each other through battle.net launcher. If you don’t own any of Blizzard’s games, you might find it useless for you. However, after several improvements and general re-introduction of voice chat, it is now really good, lag-less experience for everyone who requires proper communication. Skype is most likely the first voice chat you’ve ever heard about. Skype was around since the earliest times and was improved upon constantly (even now). It’s used mostly for social communication, but business and gaming communication is also quite popular among users. Skype does allow conference calls, which means that a couple of people can take part in a single session. Skype, however, doesn’t have “push to talk” button which essentially allows you to speak only when you are pushing particular button. Of course, there are more features to Skype than just voice chat. Obviously, it has text and video chat as well and is available on multiple platforms. If you are a gamer, you most probably have installed Steam, developed by Valve. It is a gaming platform that stores you purchased games in a library. Of course, you may invite friends and contact them by sending text or voice messages. It’s not as profesional tool as some people would like, but it does have the basic features a gamer would love to have.